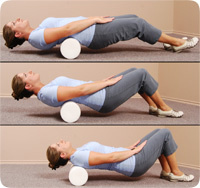 Adds strength and flexibility to the discs and ligaments of the low back. 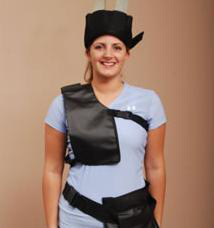 Reduces stress in the low back and aids in the prevention and recuperation of injuries. Assists in the healing of torn and/or bulging discs. Helps circulate CSF (fluid that nourishes the brain and spinal cord). Massages heart (via central tendon) and reduces the chance of a heart attack. Stimulates reflexes to correct posture (when wearing body weights). Enhances oxygenation of blood and stimulates metabolism, which is necessary for the prevention of disease. Warms up the discs prior to the adjustment and prior to spinal molding at home to reshape the spine more easily. Reduces stress in the neck and upper back as well as aids in the prevention and rehabilitation of injuries. Re-hydrates/inflates cervical discs and keeps them young, strong and healthy. Helps restore normal cervical curve, “arc of life”, and relieve tension on the spinal cord. Warms up the disc prior to the adjustment and prior to spinal molding at home so you can reshape your spine more easily. Increase the function of the first 4 cervical vertebrae to re-stimulate endorphin production (chemicals which block painful stimuli). Repositions and corrects the spine and posture relative to gravity. Additionally, the weights make the involved muscles do isometric exercises, needed to restore their strength, endurance and balance postural muscles, re-aligning the spine so that it can function optimally in its upright position relative to gravity. Loosens up the connective tissues around our muscles. Opens up our rib and chest after a long day of sitting or leaning forward. Reduces soreness and helps you relax. Breaks up old scar tissue allowing the body to start healing process. Gets rid of toxins in the body.